This is a very short example. 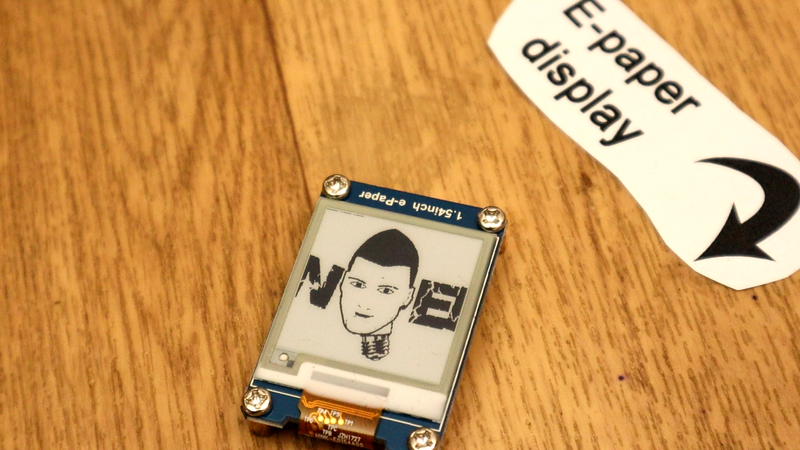 How to conenct and use this e-paper display with Arduino. You need to make the SPI connection and downlaod the library. Then downlaod or copy/paste the example code. Using the image2LCD software you can create logos and display those on the screen. First, you need an e-paper display like this one on this link. This uses SPI communication to show text, numbers or any other logo. To send data, we will need a library that you will find below. 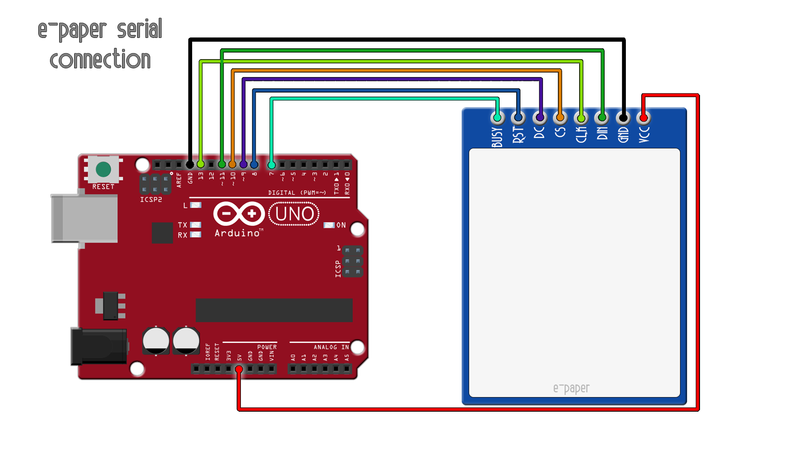 Ok, make SPI serial connection between the Arduino and the e-paper display as below. Then, downlaod the library and example code. First, we need the epd1in54.h library that you could dowload from below. So, for that, go below and downlaod that library. It will be a .zip file. Open Arduino IDE and go to sketch, include library, add .zip library and select the downlaoded file. Now the library is installed. You could downlaod the example code or just copy/paste it from below. * Due to RAM not enough in Arduino UNO, a frame buffer is not allowed. * update a partial display several times. * 1 byte = 8 pixels, therefore you have to set 8*N pixels at a time.